Although Archduke Franz Ferdinand, heir to the Austro-Hungarian Empire, was unpopular, his assassination by Serbian nationalists on June 28, 1914 was the spark that started WWI. Germany supported Austria against Serbia, its patron Russia, and Russia’s ally France. Britain joined France and Russia when Germany refused to guarantee the neutrality of Belgium. While most of the German army fought Britain, Belgium and France in the west, a German army and the Austro-Hungarian Army faced Russia in the east. When WWI started, the size of the German army and its strategy of marching through Belgium instead of a direct offensive against France took the French and the British by surprise. The German army had nearly reached Paris when a counter-attack caught it over-extended and it was forced to retreat. After a month and a half of desperate fighting, the Allies and the Germans built lines of fortifications that stretched across Europe from Switzerland to the Belgian coast. These lines would change little during the next four years. In the summer of 1916, the British army prepared for the Somme Offensive. While hundreds of thousands of soldiers massed in the rear, a small force was left to hold the trenches. 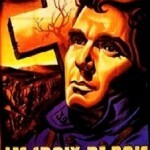 The movie examines the experiences of one platoon over two days before the start of the offensive. The platoon of raw recruits is commanded by Second Lieutenant Ellis Harte (Julian Rhind-Tutt), who relies heavily on Sergeant Telford Winter (Daniel Craig), the only career soldier in the unit. While the soldiers wait, they listen to the bombardment of the enemy trenches. Although the Germans never attack, the platoon takes several casualties through a mixture of inexperience and bad luck. Originally scheduled to go over the top in the third wave, the stunned soldiers are informed on the morning of July 1st that two companies had gotten lost, so they will be part of the first wave, even though they realize that the Germans have survived the bombardment and will be waiting. The Trench shows that the Battle of the Somme was a disaster, but the script only touches on some of the reasons, and does not actually explain why it was such a disaster. There is little debate that it was a disaster. Of the initial 100,000 men who made the attack on July 1, 19,240 died and 38,230 were wounded or captured, while German casualties were only six thousand. That section of the front at the Somme had been left alone since the beginning of the war, giving the Germans time to construct impenetrable lines with dugouts thirty feet below ground and machinegun nests that covered every possible approach. Actually, the German First Line consisted of three separate lines 200 yards from each other that were linked by communication trenches. The dugouts had several exits, masses of barbed wire thirty yards deep blocked the approach to the trenches, and powerful strongpoints anchored the line. A Second Line was located several thousand yards behind the First Line, and work was proceeding on a Third Line. Since the French wanted to retake territory and the British emphasized offense, they could not conceive of such fortifications. 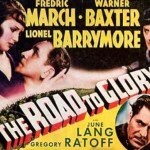 A colonel pops by to make a patriotic film, and he assures the troops that none of the Germans will have survived the bombardment, therefore success is guaranteed. The generals did expect that there would be little if any resistance after the week-long bombardment, so the soldiers marched in lines almost shoulder to shoulder, instead of charging across No Man’s Land. Loaded down with packs weighing sixty pounds in order to ensure they could hold out if cut off, the soldiers could barely make it out of the trenches. Unfortunately, the producers lacked enough extras to properly show tightly massed formations of soldiers being mown down by machine-gun and artillery fire. A creeping artillery barrage was supposed to overwhelm any Germans who had survived the bombardment, but it was the first time that this technique was employed, and the artillerymen were not ready for such a complex tactic. Scared of hitting their own troops, the artillery moved the barrage too quickly, so the troops faced occupied trenches. The British soldiers that actually made it to the trenches were stuck in front of uncut barb wire because the shell fuses were not sensitive enough to be detonated by hitting barb wire. The night before the offensive, the sergeant leads a patrol to destroy a German trench that was dug towards the British lines as a listening post. Despite the patrol’s success, one of the soldiers realizes that the Germans are surviving the bombardment and will be waiting. Did the generals know or even suspect that the Germans would be waiting instead of cowering in the rubble of their trenches? They undoubtedly suspected, since trench raids had reported that the Germans were still safe in their dugouts, even the night before the offensive, but they refused to alter the plan. The opening credits roll over archival photos of the real trenches, and then one photo changes from black and white to color, before coming to life as the film. It is a nice touch. I wish the same could be said about the rest of the film. When the bombardment ends, the terrified soldiers have to endure a lengthy pause before they are finally sent over the top, which is one of the best scenes in the movie. Unfortunately, it is one of the few good scenes in the movie. The Trench stars a pre-Layer Cake Daniel Craig, and he is merely capable. The rest of the cast are mostly unknowns who stayed unknown. The soldiers are incredibly young and clean-shaven. At one point, the soldiers gather around to look at photos of half-naked women like junior high school students. Second Lieutenant Harte copes with fear and the pressure of command with alcohol, but he is the closest to a character of any depth. The other members of the platoon are so bland, I could not tell them apart. I actually found myself wishing for nice stereotypes like a troublemaker, an intellectual and a ladies man, maybe an immigrant or an ethnic minority. To be fair, someone from England would probably be able to tell them apart by the accents. The director’s desire to create a snapshot of the period right before the Somme Offensive is laudable but the film is boring…just boring. It was really hard to keep watching. I kept resisting the urge to check my email. Totally agree. I did a post comparing this movie to “Passchendaele” and “Passchendaele” won! That should tell you something. It looks and feels like a play, which would be okay if it got soldier life right. Unfortunately, the dialogue is very inauthentic and boring. The set is very playlike in that it is pristine and unmuddy. The movie could be a documentary about a WWI trench fantasy camp with adults reliving their grandfather’s experience and providing their own dialogue Craig is surprisingly blah in a blah cast. He should have dominated, but doesn’t. The only thing positive I can say is it gets the insane optimism of the brass right, but that’s all it has to say historically speaking about the battle. In that respect, the movie could have been about any WWI battle. 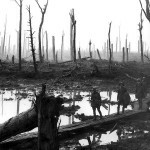 I have a more positive view of Passchendaele than you do, but I think the Trench would lose a competition with pretty much any WWI movie. 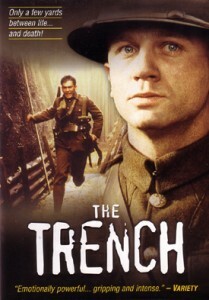 In fact, I can’t imagine that The Trench has any defenders, aside from the director, and possibly his mother. I agree about the stagey feel, but you would expect the dialogue to be gripping, not sleep-inducing. I like your comment about teenagers imagining what WWI was like for their grandfathers but not knowing how to actually do it.